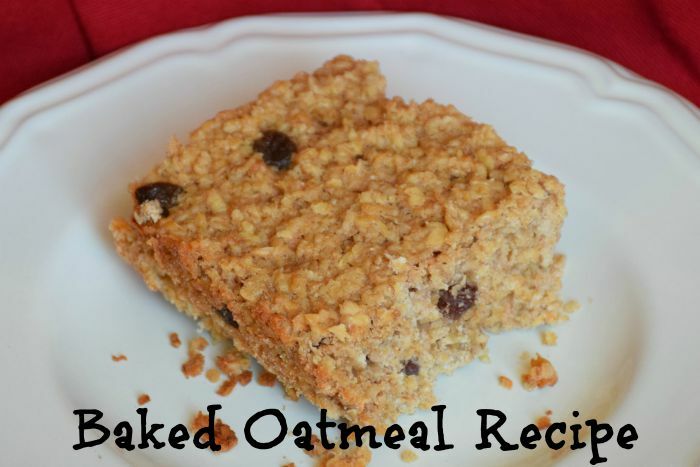 Are you looking for a baked oatmeal recipe that is simple, delicious and not crazy sweet? This is the baked oatmeal recipe I grew up on, wholesome, delicious, and lightly sweetened with maple syrup. While my favorite is with raisins, my readers who hate raisins (seriously, why?) can omit the raisins completely or substitute with finely chopped apples. Either way is great! While this is a pretty quick recipe to whip up in the morning, you can simplify things a bit more and mix it up the night before! Just mix it together and pour into your pan. Refrigerate overnight and pop it in the oven come morning time! Best served warm and swimming in milk, I’ve munched on cold baked oatmeal and love it that way as well! 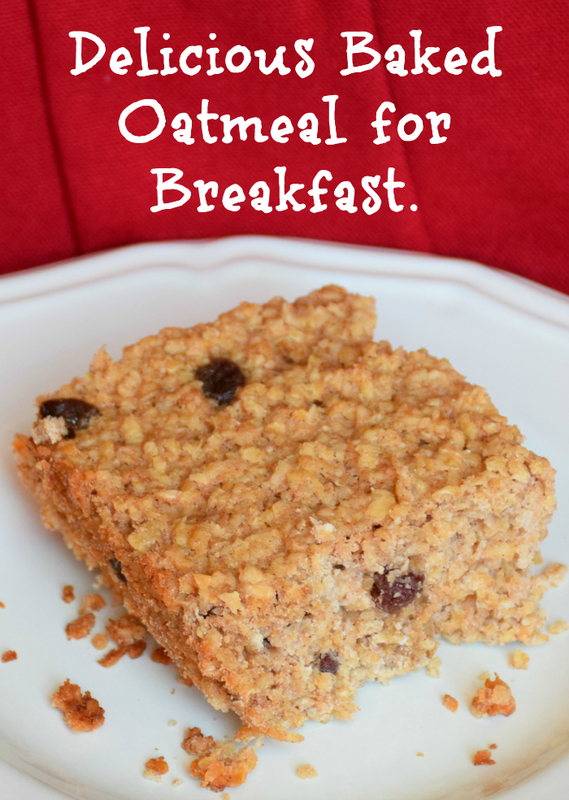 Lightly sweetened with maple syrup, this bake oatmeal recipe is sure to delight the entire family! Cream the oil, eggs and syrup together. Add in the other ingredients and mix well. Doubling this recipe will make a 9x13 pan full, baking times are the same. If you have never tried baked oatmeal, I highly recommend it. All the delicious flavor of oatmeal without the texture. Since getting pregnant, eating regular cooked oatmeal in the mornings has been such a challenge for me. Baked oatmeal still delivers the hearty nutrition, without the texture that kept bothering my morning sickness! Want this as a to-go breakfast? Check out my Oatmeal Muffins Recipe. My husband loves oatmeal and I’ll have to try your recipe. Thanks for sharing on Merry Monday.